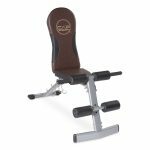 Walmart offers the Cap Barbell Flat / Incline / Decline Bench in Burgundy/Black Trim for $39.99 with free shipping. That’s tied with our mention from last month and the lowest price we could find by $19. 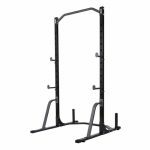 It features four adjustable positions, a dumbbell holder, foam-covered hand grips, and weight capacity of 300 lbs.